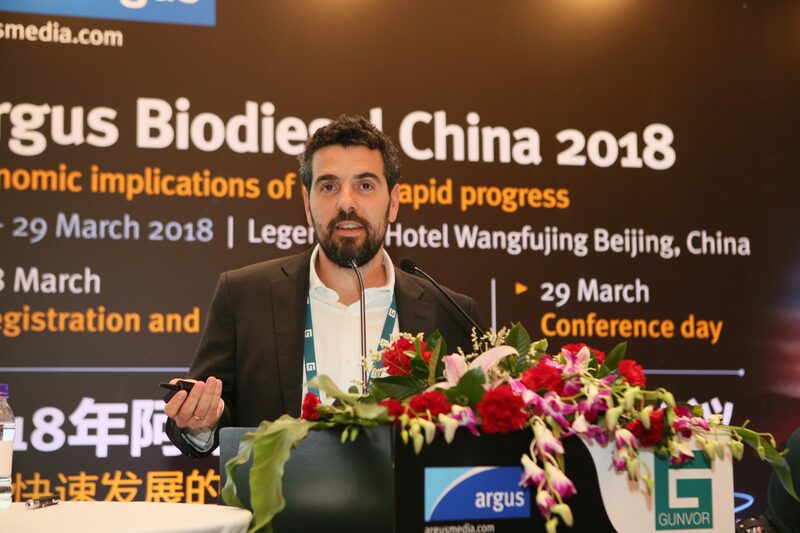 The Biofuels International Conference was held on March 28 and 29 in Beijing, China. 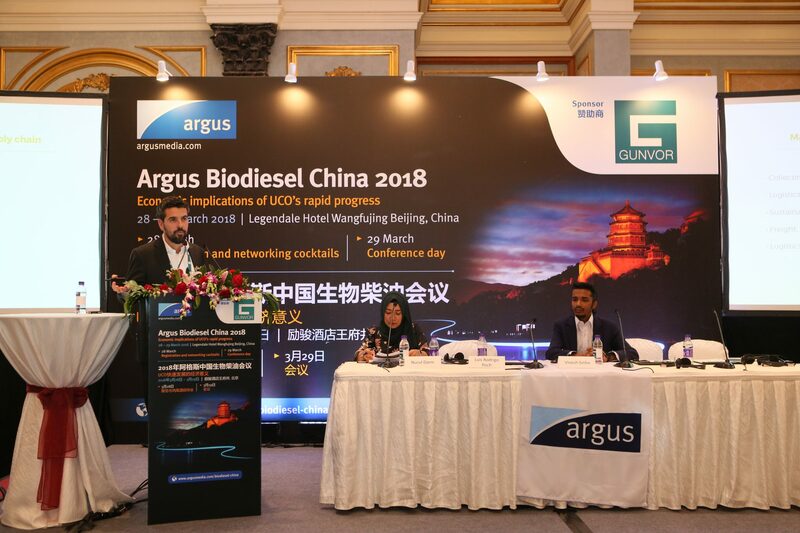 This was the first congress that Argus Media held in Asia, and in which the entire Asian biodiesel industry has been present. From UCO collectors, UCOME biodiesel manufacturers, major traders and major oil companies like Repsol, as well as some representatives of important international companies including China Biodiesel Association, MotionEco, Gunvor, Chant Oil, Beijing City Enviromental Health Assumption, Petrus French Restaurant, ISCC, Reconergy, Greenea, Fat Hopes Energy, GIEC, Reconergy. It is necessary to mention that China is the country that generates the largest amount of used cooking oil in the world and the biggest exporter of uco to Europe. 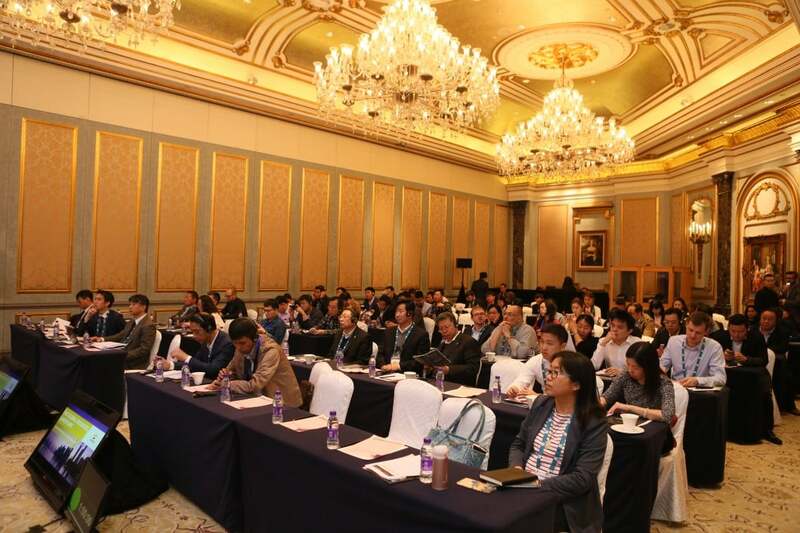 For this reason, China has become one of the markets with the greatest potential for the purchase of UCO and for us to have been invited to participate in an event of these characteristics is a privilege. If you want to see the presentation, CLICK HERE.